Ernest Ambort was born on November 7, 1922, in Little Rock Arkansas. 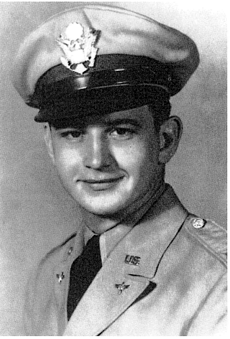 He enlisted in the Aviation Cadet Program of the U.S. Army Air Force on September 17, 1942, and was commissioned a 2nd Lt. and awarded his pilot wings at Williams Field, Arizona, on January 7, 1944. After completing P-38 Lightning training, he was assigned to the 9th Fighter Squadron of the 49th Fighter Group in the Dutch East Indies. He became an Ace by destroying five enemy aircraft in aerial combat, plus one damaged before returning to the States in September 1945. Ambort was awarded two Distinguished Flying Crosses and a Bronze Star for his extraordinary achievement as a fighter pilot in the Pacific Theater during World War II. Major Ambort left active duty on February 3, 1946, and served with the 154th Fighter Squadron of the Arkansas Air National Guard until being reactivated during the Korean War. He flew with the 6147th Tactical Control Group in Korea in 1951 and left active duty at the end of the war. Ernest Ambort died on November 17, 1981, and is buried at the Little Rock National Cemetery in Little Rock, AR.